You find yourself lost in the woods after escaping a horde of zombies trying to eat you. 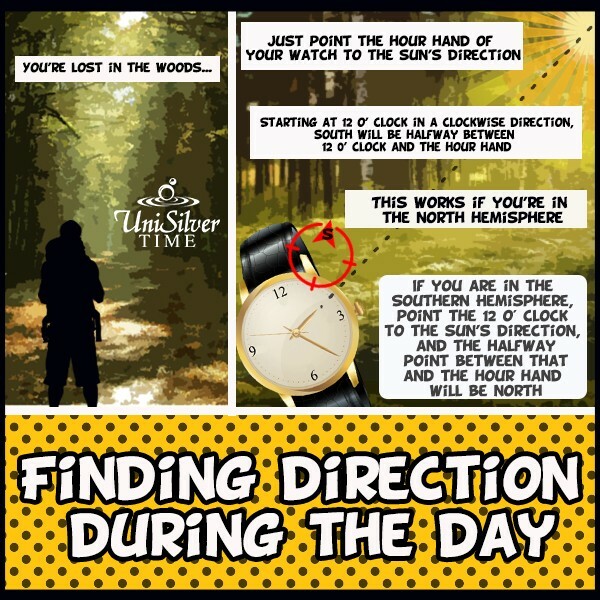 Don't worry, your watch can help you find the direction. If you are in the Northern Hemisphere (that includes the Philippines), point the hour hand of your watch at the sun. Going clockwise starting from 12 o' clock, south will be halfway between 12 o'clock and the hour hand. If you are in the Southern Hemisphere, align 12 o' clock with the sun. Going clockwise starting at 12 o' clock, the north be will halfway between 12 o' clock and the hour hand. Also remember when your are facing north, east is on your right and west is on your left. And when you are facing south, east is on your left and west is on your right. Now you'll know which way is north and which way is south, but what you really need to find fast is a zombie-free place. A lot of watches have a convex lens in their design. Dismantle your watch, (oh don't be too attached to it now, the world is ending!) and wipe the convex lens clean. Similar to a magnifying glass, hold the lens perpendicular to sunlight and keep on moving the lens to focus the sun into a point of light. 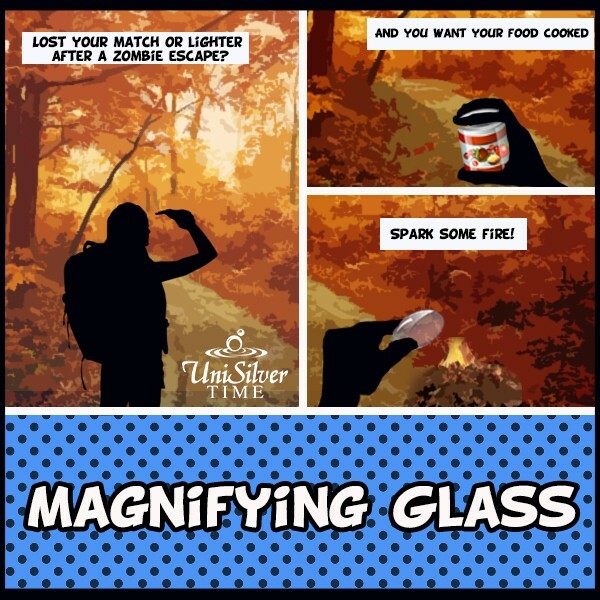 Now find some tinder like paper or leaves and shine the point of light into it. After much patience and time, it will ignite. Now, you can cook a decent and well-deserved meal after running away from zombies for hours. Does your watch have a flat face or a metal case back? Then you could use it as a signal mirror. 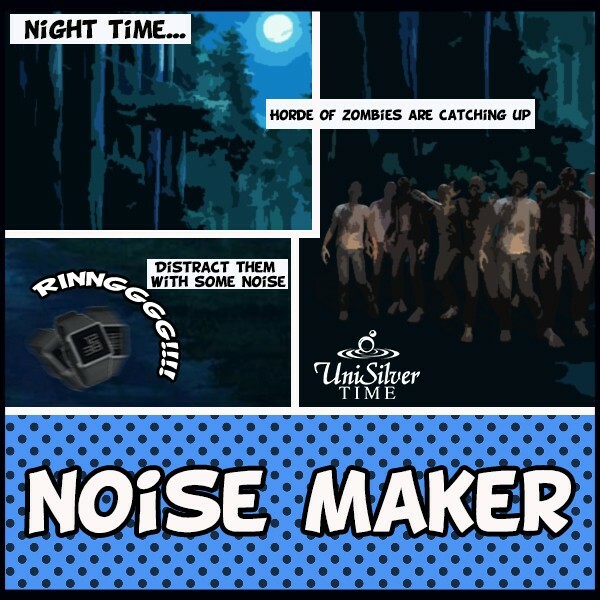 Simply shine the sunlight (or any bright enough light) onto it to reflect it onto whoever or whatever needs your attention for we all know that zombies get attracted with noise. So using your watch as signal mirror could save you and your friend's life. Oh, and is your watch smooth enough to cause a reflection when you look at it? Then it makes for a good, old-fashioned mirror. Well, only for really minute things such as checking to see if you have food stuck in your teeth or making sure your make-up is still on point. 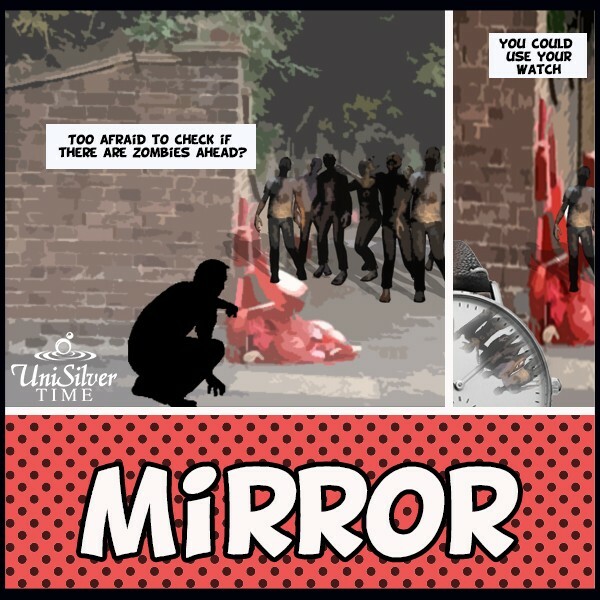 But who needs to look good in the zombie-infested post-apocalypse? I mean, if you get turned into one, you will be ugly nonetheless. 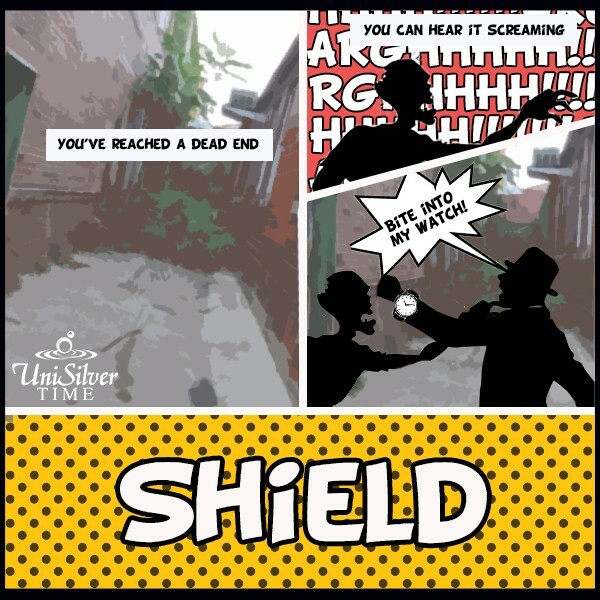 Specifically for thwarting bites when no other weapon is at hand, or you are suddenly caught face-to-face with a zombie, stainless steel watches such as those from UniSilver TIME are sturdy enough to block the biting forces of those pesky zombies. Just pray that your zombie does not have a huge mouth because even your watch might not be able to shield that bite. Once you've freed your hand, backhand and them in the mugger, and run away as fast as you can. You don't want to be part of a zombie's meal, right? Most digital watches have an alarm built into them. And if pop culture is any indication (just like in "Train to Busan"), zombies are more sensitive to sound and/or smell than sight. If you and your team are being overwhelmed, you could simply toss your watch away from the group and let the alarm go off as the zombies' attention gets drawn elsewhere...Wait, you did set the alarm, right? 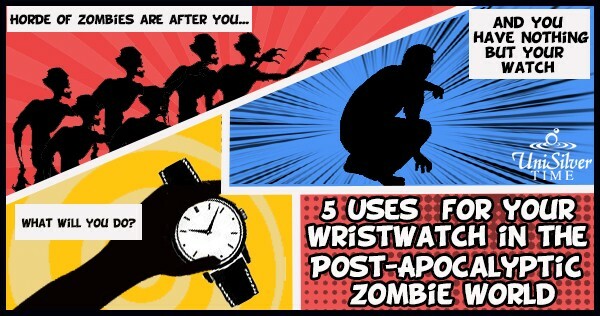 These are just some things you could do with that watch on your wrist to survive in a world populated by zombies. Should there be more, let us now as you can never be too prepared. About the Author: Geek. Gamer. Watch Enthusiast. He's also a self-proclaimed conspiracy theorist (though he was quite depressed when the world didn't end back in 2012). If he isn't at home playing video games or watching anime, he's sitting in his office reading about horology, quantum physics, and possibly fanfiction involving his favorite characters.